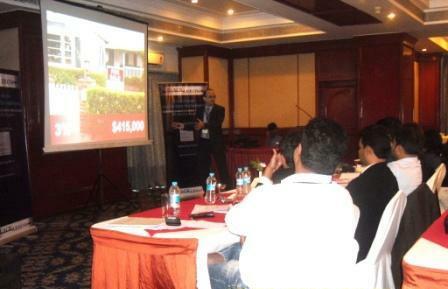 Blackarrow Conferences wishes to thank all the participants for making the workshop a huge success. 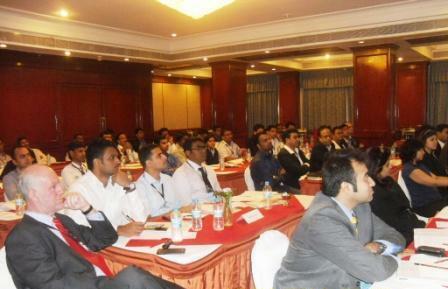 67 participants from 43 Real Estate companies of Bengaluru, Chennai and Cochin participated at the Real Estate Marketing Workshop on the 26th of June 2014 in Bengaluru. "Thank you very much for the workshop. It was a really very good event. I really enjoyed and got benefited through the participants & made few deals with them"
"Its the best workshop for the one who is going to use the DM as marketing tool in these days, I attended this workshop from Chennai"
"It was a good workshop. 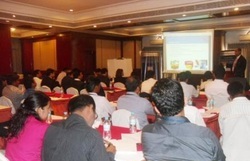 New ways to get knowledge"
"The Workshop was very informative"
"Everything was good. You all did a great job on the workshop. Thank you for giving us the opportunity"
We worked hard to stuff all our wisdom about digital marketing into a training that probably surprised and delighted you. Whether you have already started or trying to build your very own marketing strategy, we're here to help.